Most of the programs are taught in Finnish or Swedish languages. Courses in English are becoming popular. Most Admissions are done via University Admissions Finland (UAF). The Tampere University of Technology, University of Oulu, University of Helsinki and other universities have MS programs in English too (TOEFL/IELTS might be required from nonnative English speakers). If you have a strong affinity towards research and innovation, then the stunning country of Finland having best in class universities with the state in art infrastructure is your destination. Being situated in the Northern part of Europe this country is among one of the five Nordic countries in Europe. The society of Finland strongly follows the policy of equality. With an inclination towards technological innovation, this country has now become one of the leaders in offering advanced education in the field of science and technology as a result of which the capital of this country Helsinki has become one of the safest places for young talented minds. Every year many students opt to go to Finland for higher studies for having a bright prospect in the field of Technology. Most of the students coming from foreign countries do not find many problems in adjusting to the environment of this exotic country. This country is safe for women scholars as the country strongly believes in gender equality. Low levels of corruption also make this country very suitable for international students. Why Would You Want to Study in Finland? Many students from abroad recommend their peers to study in Finland as most of the universities offer education without charging fees and without compromising on the quality of teaching. The country of Finland is diversified in nature due to its open and transparent society which is one of the main factors which plays a major role in attracting a lot of foreign students from other parts of the world every year. The weather of this place is suitable for all making the stay of international students very comfortable. Students who have studied in Finland praise the serene and clean environment of the site as it is well maintained. Most of the universities in Finland offer bachelor, masters as well as Ph.D. courses in various subjects. The application process is simple which requires the aspirant needs to register on Study info website to get the various application forms as well as the details, requirements for each of the courses offered at different universities. It is always advisable to read about the procedure before application to make the application process much easier. The details about the tuition fees and the rules related to scholarship are also mentioned on the website. Since the Finnish Government wants to promote higher education in the country most of the courses offered by the Universities are exempted from any tuition fees for all students irrespective of their nationality. However, from autumn 2017 tuition fees will be levied on some courses for non-European candidates. Doctoral studies will be still free of charge. However, it is the sole responsibility of the student to bear the cost of living in Finland. The cost of survival in the country of Finland is not much as compared to other European countries. According to the feedback given by students already studying there an amount of EUR 500-800 per month is enough for proper survival which would include house rent food and transportation. An additional amount of EUR 100 may be borne by the student as a part of students union fees. The universities in Finland offer a variety of courses as part of bachelors, masters as well as Ph.D. courses. The doctoral courses remain to be the most popular as they are exempted from the tuition fees. 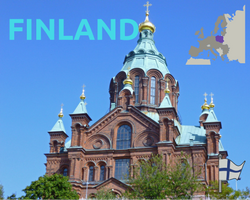 Thus if you are planning to go to Finland for higher studies this guide would surely help you to a great extent.